Product categories of Feed Mixer, we are specialized manufacturers from China, Feed Mixer, Animal Feed Mixer suppliers/factory, wholesale high-quality products of Feed Mixer Machine R & D and manufacturing, we have the perfect after-sales service and technical support. Look forward to your cooperation! This type feed Hammer Mill and mixer machine group can crush all kinds of feed,such as corn,sorghum,grain, legumee,broke cake pellet,soybean,small fish,small bone and others,it very suitable to produce powder/mash feed for laying hens,low invest,crush thoroughly, stir well, free to adjust the raw material mix proportion. It have high production capacity up to 3t/h.Equipment made by thick carbon steel,so have long service time at least 15 years. 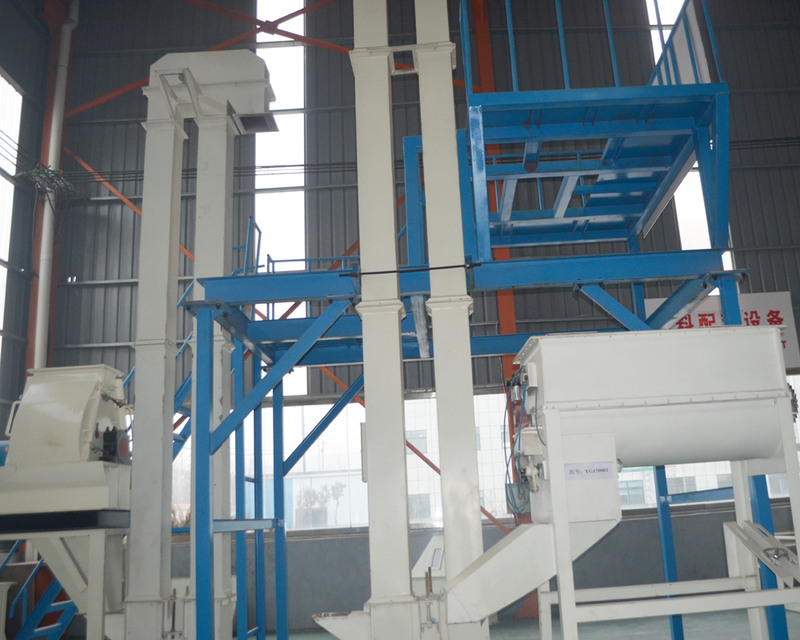 As the feed crushing and mixing process of our SH-250 Feed Pellet Production Line,if customer want to produce pellet feed in the future,it easy to expand and modify production line.Help customer save purchase cost. 1. Single shaft twin screw chicken feed mixer used for animal feed needs to mix the raw material bu batch. 2. The user needs time to discharge the finished products. 3. Due to single shaft twin chicken feed mixer used for animal feed is processed by batch, we suggest adding a silo with the mixer. 4.The single shaft twin screw chicken feed mixer is much economical on price than double shaft mixer. 5. Discharge method: Manual, electrical,pneumatic. 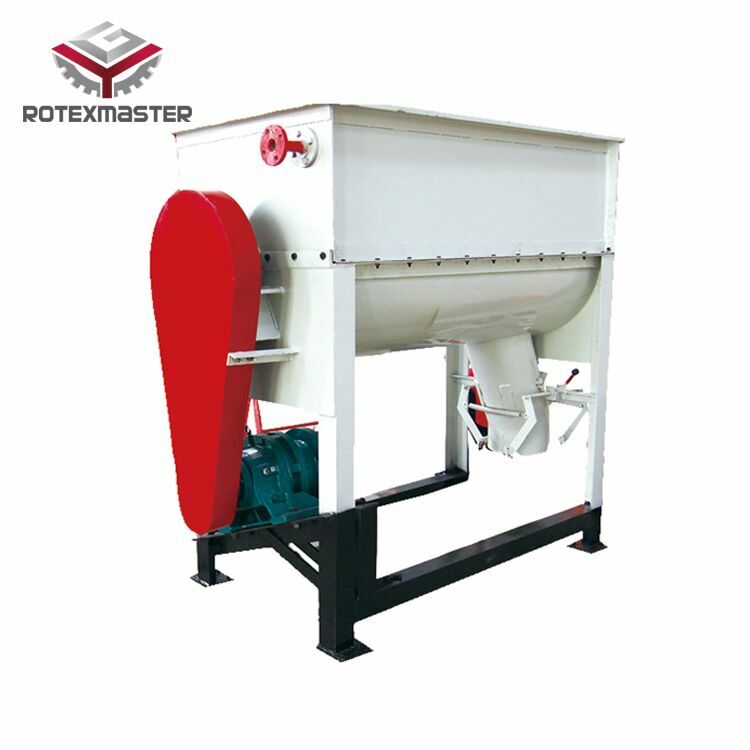 6. single shaft twin screw chicken feed mixer has two feeding door on top, one is used to add main materials , the other is used to add additive. the output doors both have manual and pneumatic type.